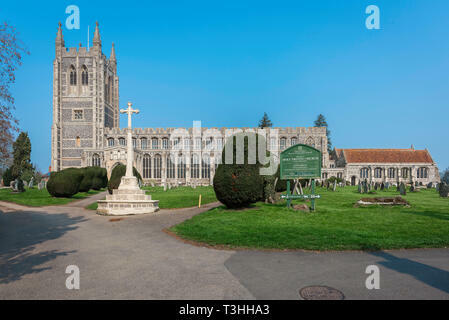 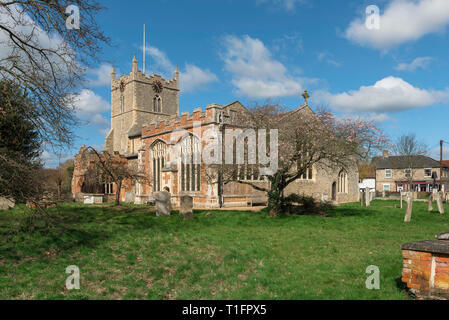 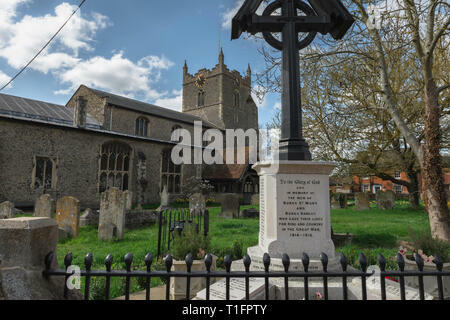 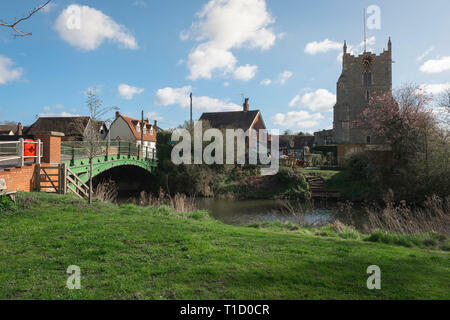 Long Melford Church, view of Holy Trinity Church - a large medieval parish church in the Suffolk village of Long Melford, England, UK. 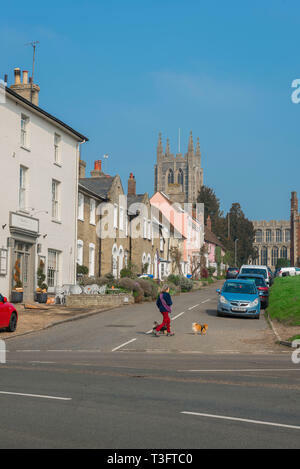 Long Melford Suffolk, view of Church Walk and the tower of Holy Trinity Church in the Suffolk village of Long Melford, England, UK. 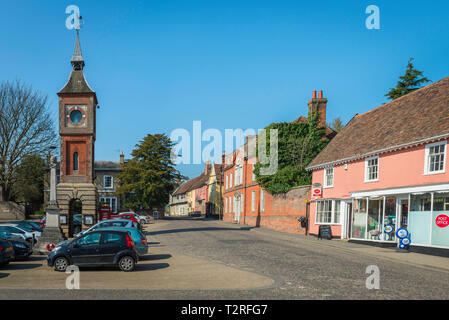 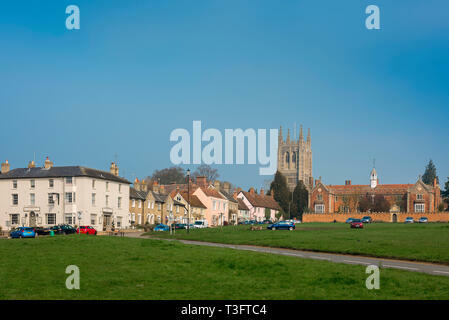 Long Melford Suffolk, view of The Green, the tower of Holy Trinity Church and Tudor hospital (right) in Long Melford village, Suffolk, England, UK. 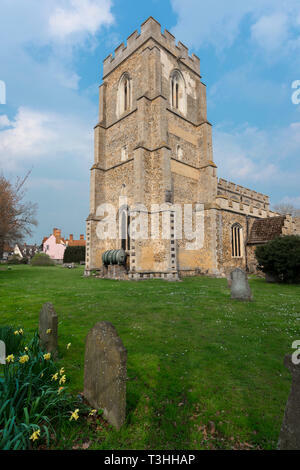 View of the tower of St John The Baptist Church - a medieval parish church in the Suffolk village of Stoke by Clare, England, UK. 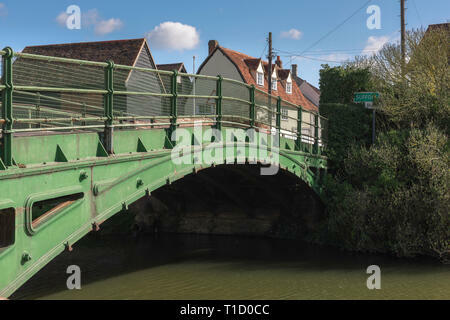 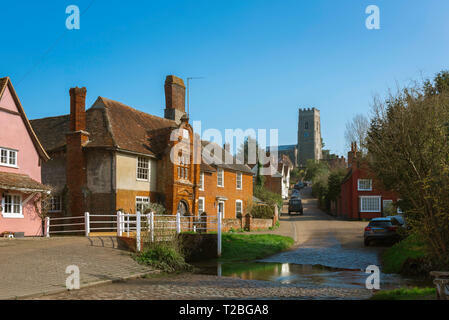 Long Melford Suffolk, view of The Green in Long Melford village with a Tudor brick water conduit in the foreground, Suffolk, England, UK. 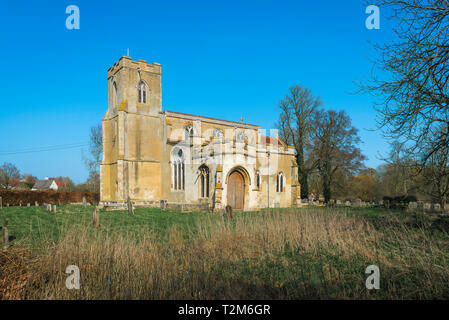 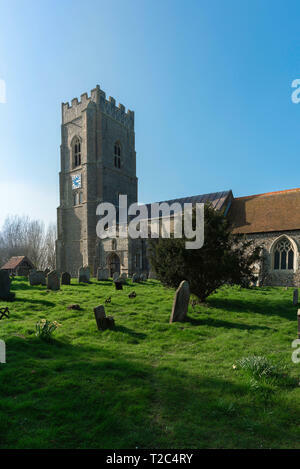 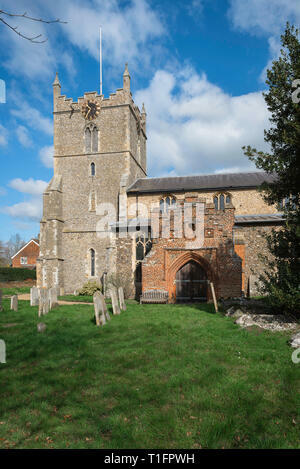 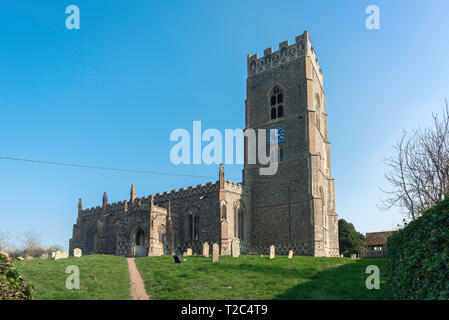 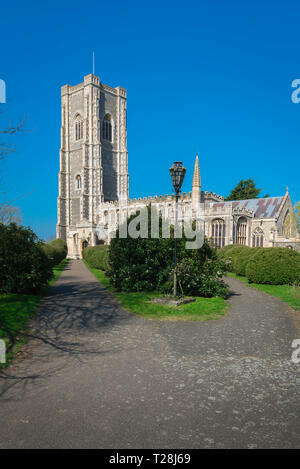 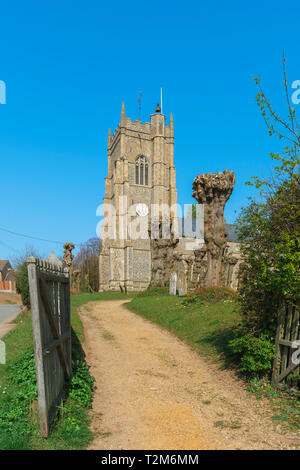 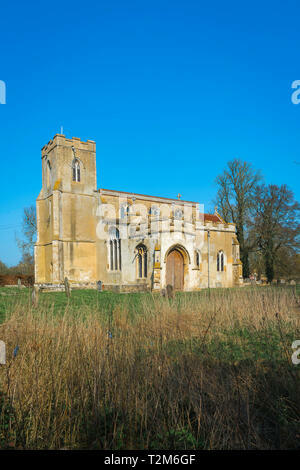 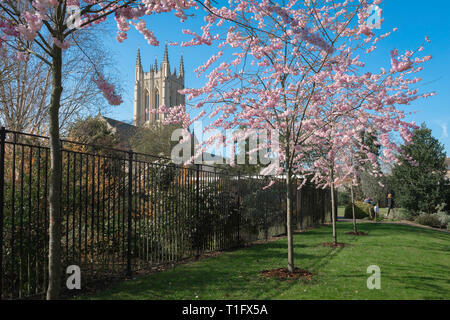 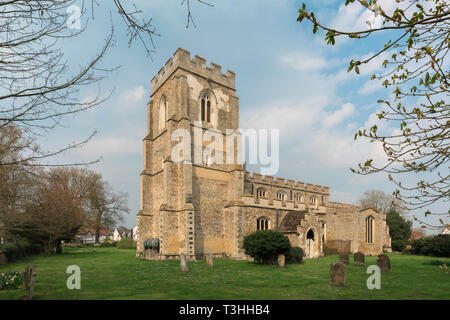 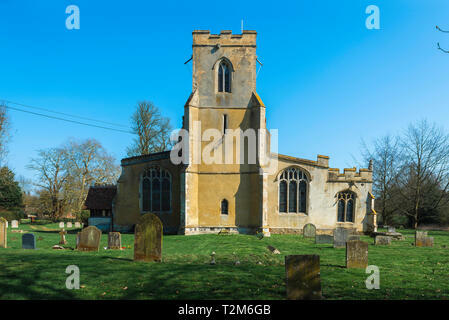 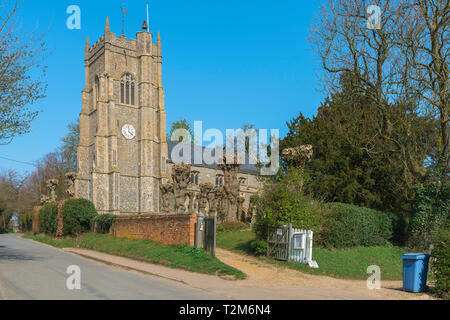 View of St John The Baptist Church - a medieval parish church in the Suffolk village of Stoke by Clare, England, UK. 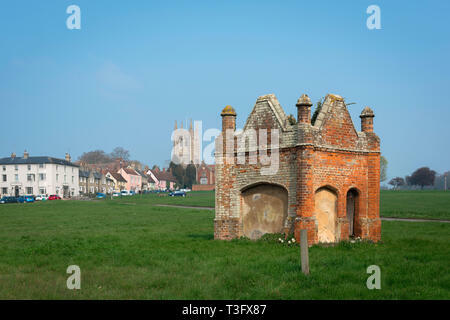 View of a Tudor brick water conduit sited in The Green in the Suffolk village of Long Melford, Suffolk, England, UK. 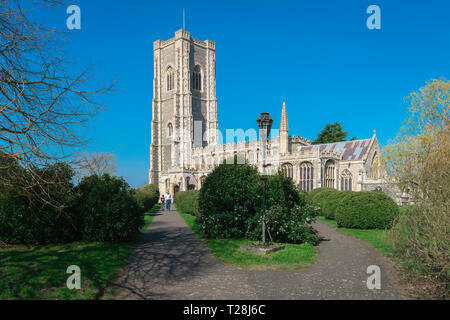 Long Melford Church, view of the tower of Holy Trinity Church - a large medieval parish church in the Suffolk village of Long Melford, England, UK. 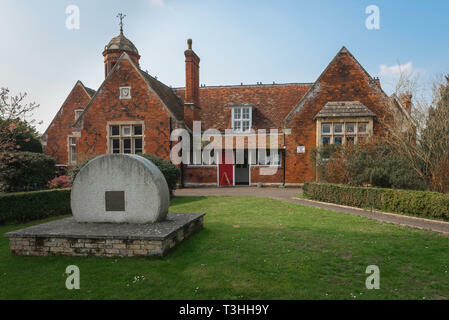 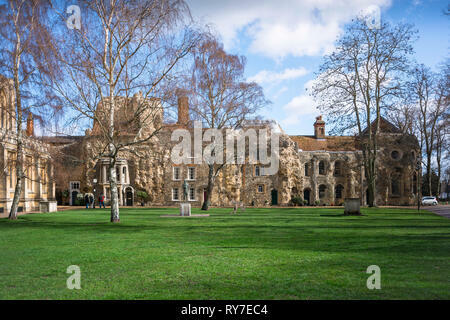 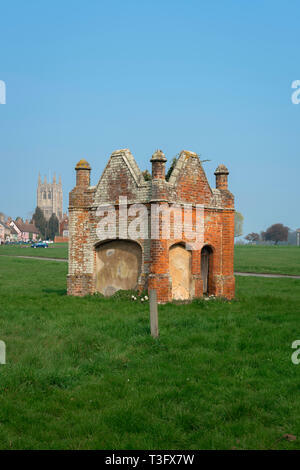 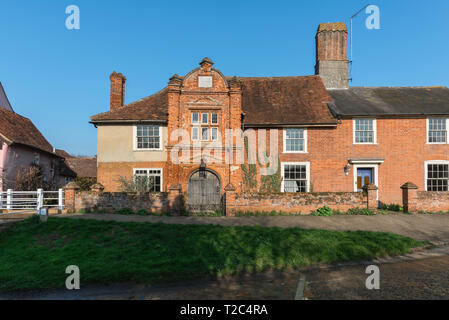 View of the old village school building in Long Melford, Suffolk, England, UK. 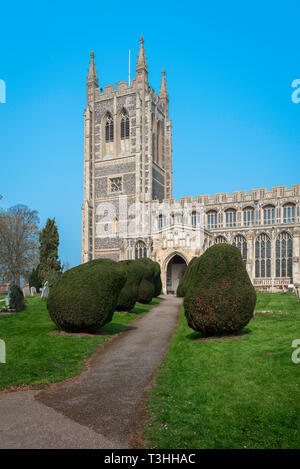 Monks Eleigh church Suffolk, view of the Church of St Peter in the Suffolk village of Monks Eleigh, Babergh District, Suffolk, England, UK. 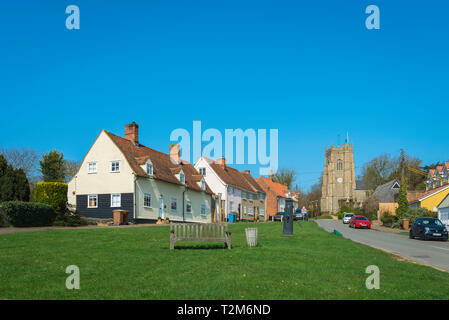 Monks Eleigh Suffolk, view across the village green towards Church Hill in Monks Eleigh, Babergh district, Suffolk, England, UK. 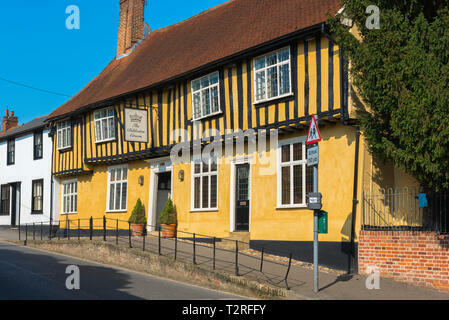 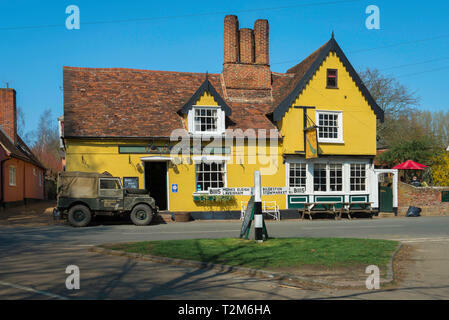 View of the Bildeston Crown public house in the village High Street, Babergh district, Suffolk, England, UK. 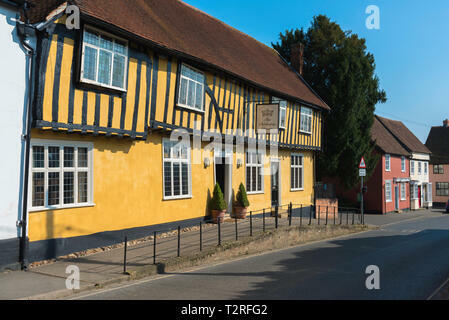 View of Bildeston High Street including the yellow half timbered Crown public house, Babergh district, Suffolk, England, UK. 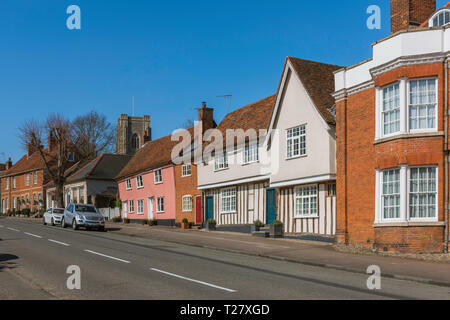 Lavenham Suffolk, view in summer of historic buildings lining the south end of the High Street in Lavenham, Babergh district, Suffolk, England, UK. 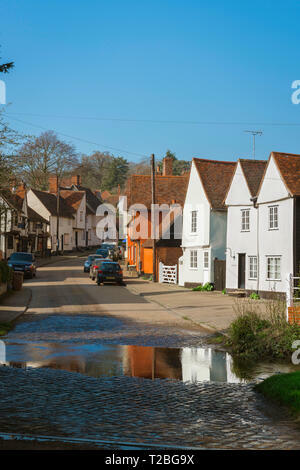 Kersey village, view of The Street in the centre of Kersey village, with its famous ford or 'splash' in the foreground, Suffolk, England, UK. 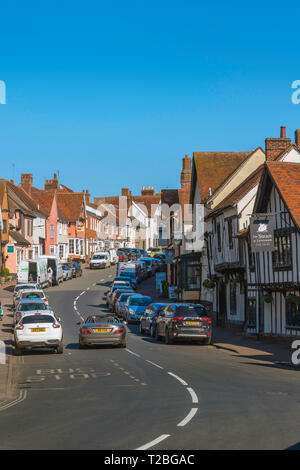 Lavenham Suffolk, view in summer of old buildings and shops lining both sides of the High Street in Lavenham, Babergh district, Suffolk, England, UK. 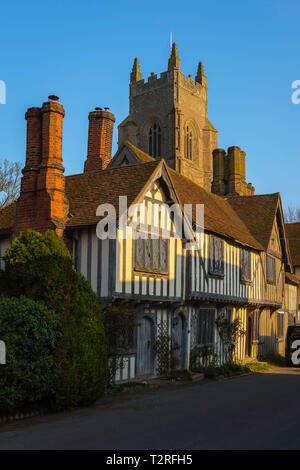 Church porch Suffolk, view of a tourist couple emerging from the late medieval (1525) great porch of the Church of St Peter & St Paul in Lavenham, UK. 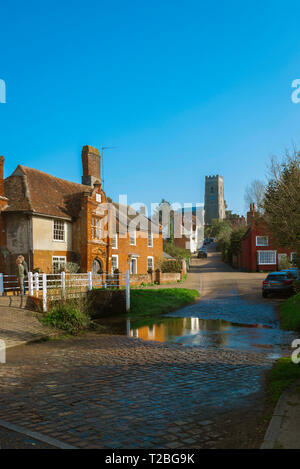 Kersey Suffolk, view of The Street in the centre of Kersey village, with its famous ford or 'splash' in the foreground, Suffolk, England, UK. 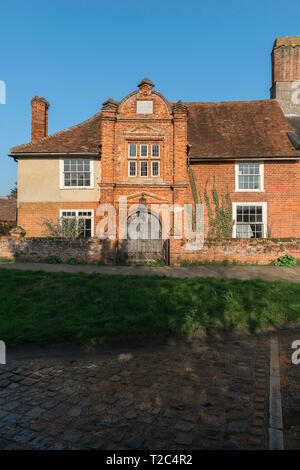 River House Kersey, the historic (1490) River House building with its early Tudor brick porch sited in the centre of Kersey village, Suffolk, England. 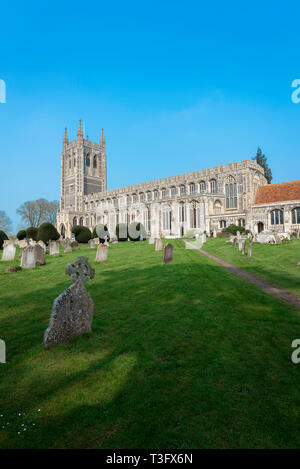 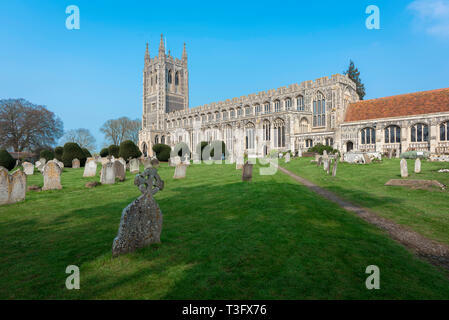 Lavenham Church, view of the late medieval (1525) Church of St Peter & St Paul and its churchyard in the Suffolk village of Lavenham, England, UK. 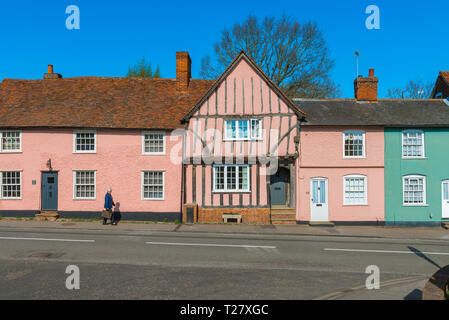 Suffolk pink, view in summer of historic buildings in Lavenham High Street painted a characteristic pink colour typical of old Suffolk buildings, UK. 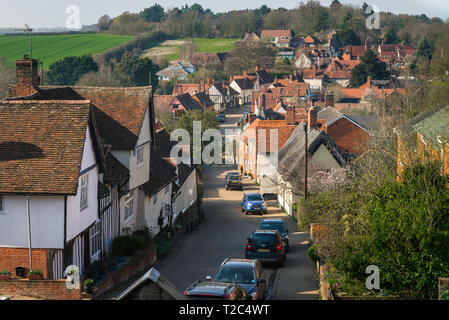 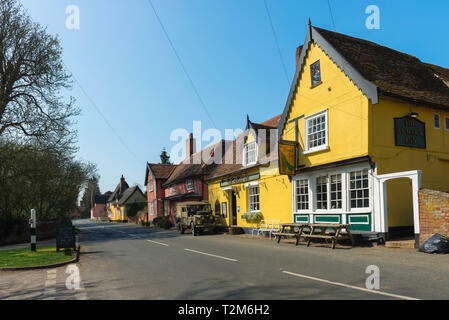 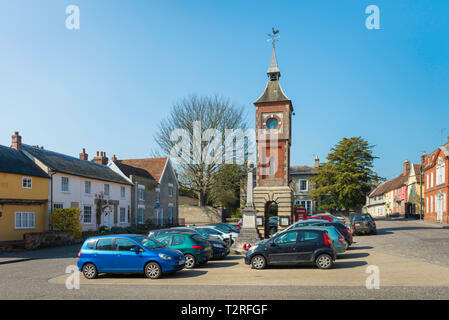 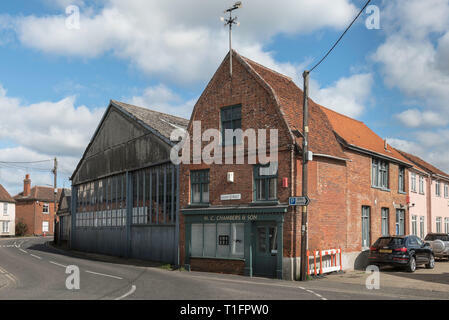 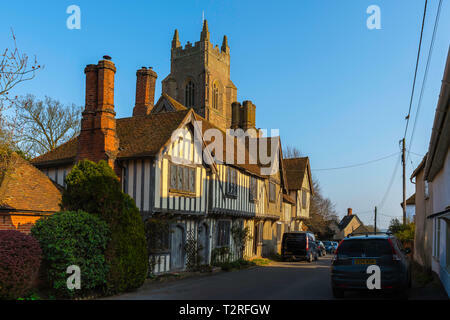 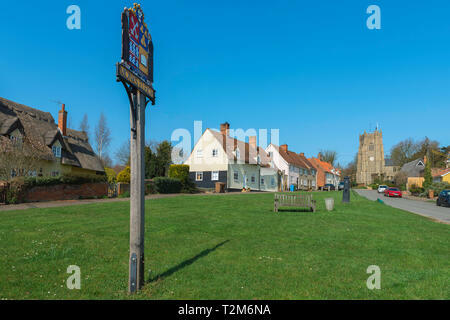 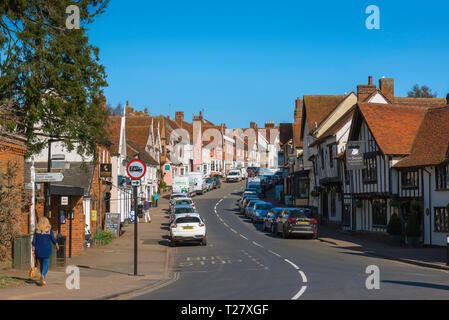 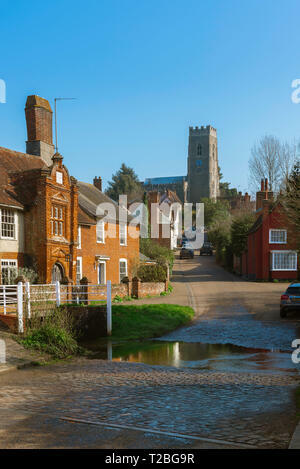 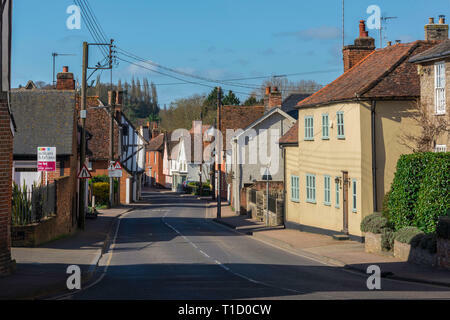 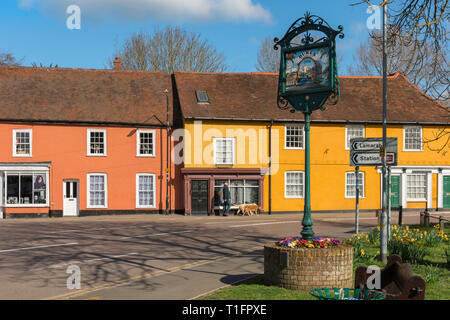 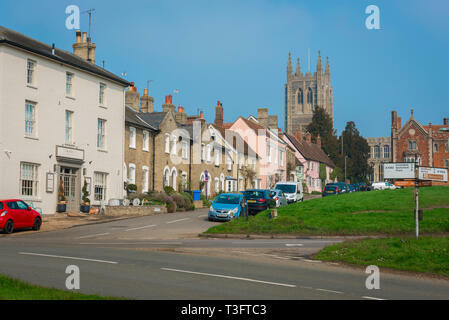 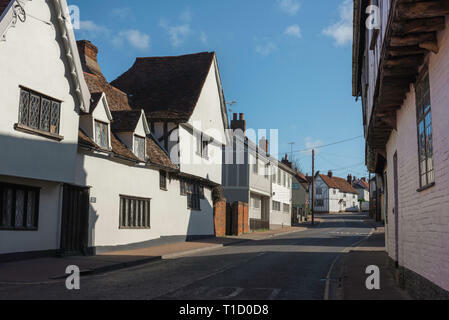 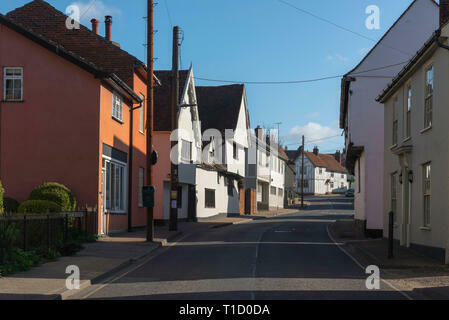 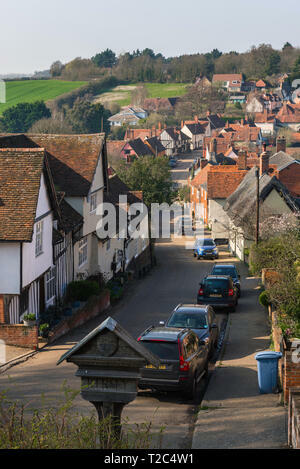 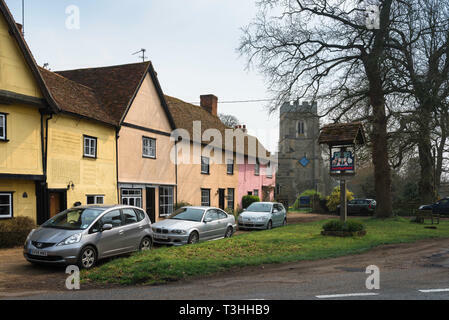 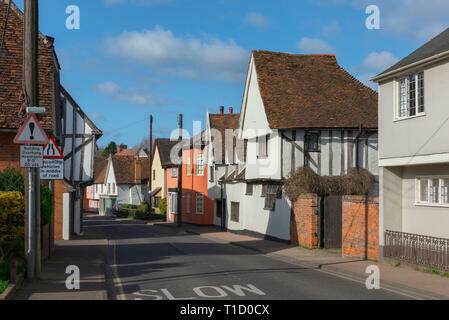 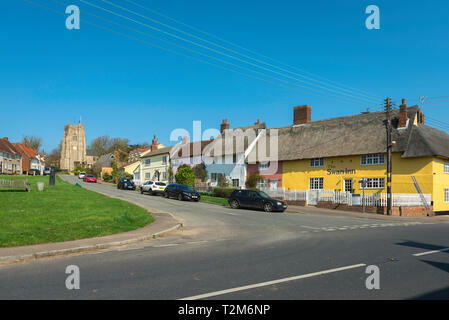 Village England, view of The Street in the centre of Kersey village, with its famous ford or 'splash' in the foreground, Suffolk, England, UK. 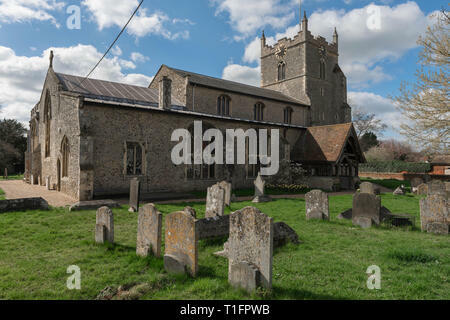 England church, view across the churchyard towards the 14th century St Mary's Church in the Suffolk village of Kersey, England, UK. 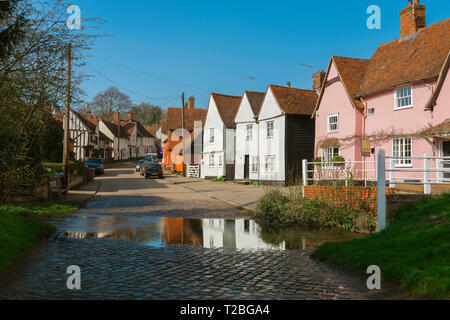 Suffolk village, view of The Street in the centre of Kersey village, with its famous ford or 'splash' in the foreground, Suffolk, England, UK. 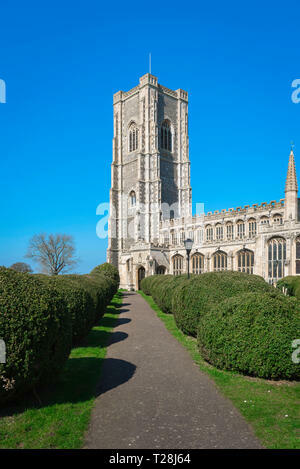 Lavenham Church, view of the 43m tower of the late medieval (1525) Church of St Peter & St Paul in the Suffolk village of Lavenham, England, UK. 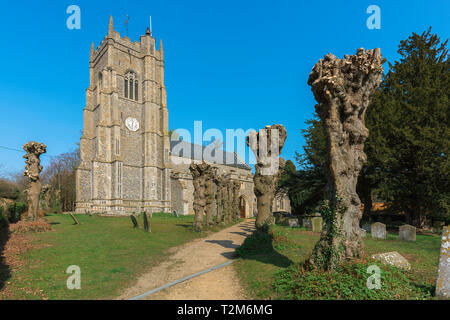 Kersey Church, view of the 14th century St Mary's Church in the Suffolk village of Kersey, England, UK. 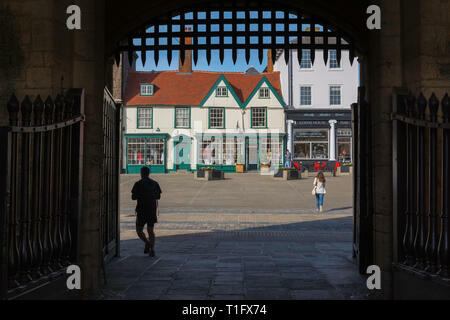 Bury St Edmunds town, view from the medieval Abbey Gate towards shops sited on Angel Hill in the centre of Bury St Edmunds, Suffolk, UK. 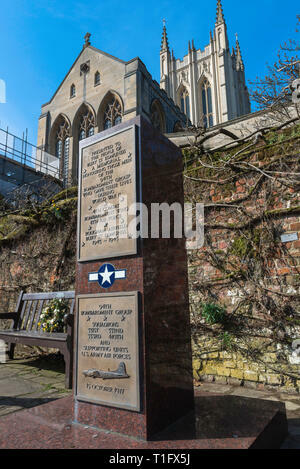 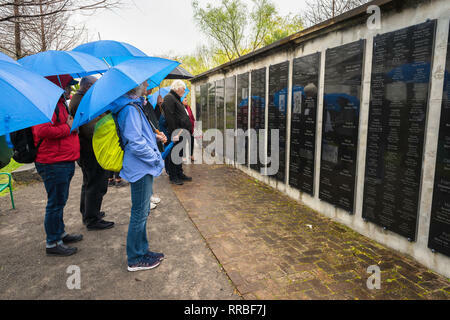 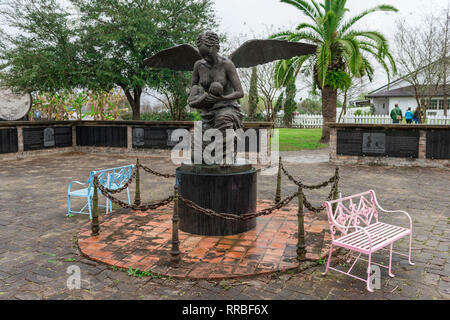 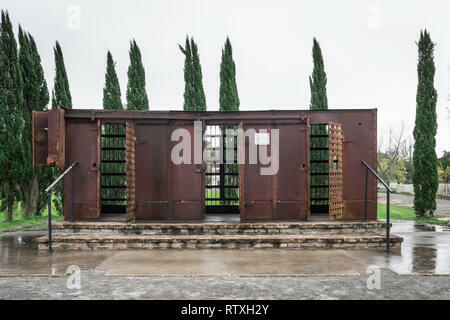 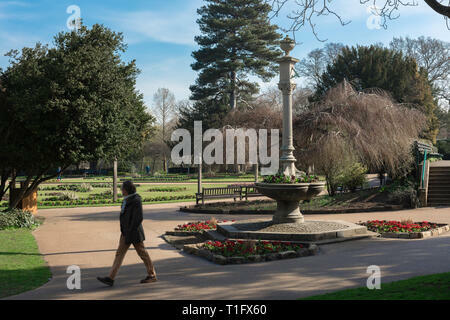 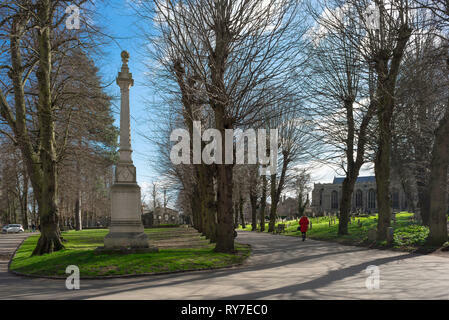 Memorial dedicated to the US airmen who flew bombing missions from Rougham Airfield, Suffolk, during World War Two, Abbey Gardens, Bury St Edmunds. 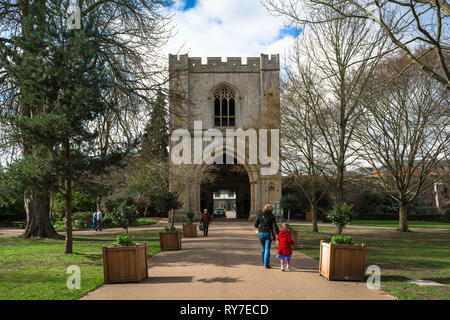 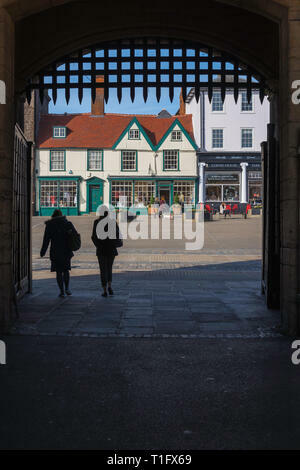 Bury St Edmunds Abbey Gate, view from the medieval Abbey Gate towards shops sited on Angel Hill in the centre of Bury St Edmunds, Suffolk, UK. 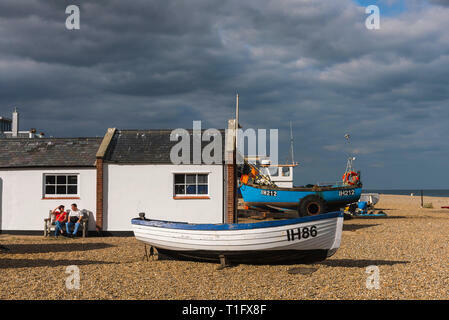 Aldeburgh beach Suffolk, view of a middle aged couple relaxing beside fishing boats on the beach at Aldeburgh, Suffolk, England, UK. 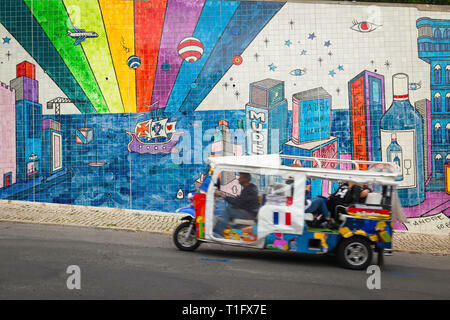 Lisbon Alfama tourists, view of tourists taking a tour of the colourful Alfama area of Lisbon in a tuk tuk, Portugal. 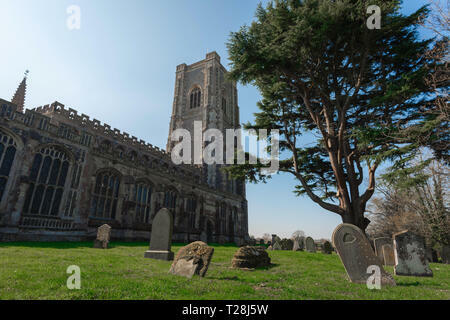 Bures Church Suffolk UK, view of the south side of St Mary's Church in the village of Bures on the Essex Suffolk border, England, UK. 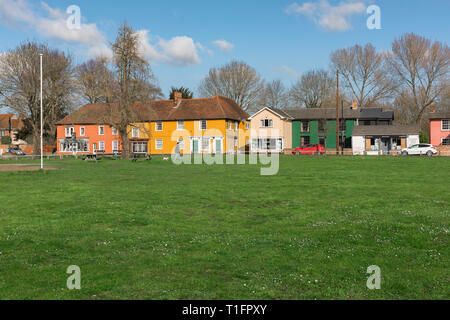 Bures UK, view of the village green and colourful houses in Bures Hamlet on the Essex side of the village of Bures (Suffolk) England, UK. 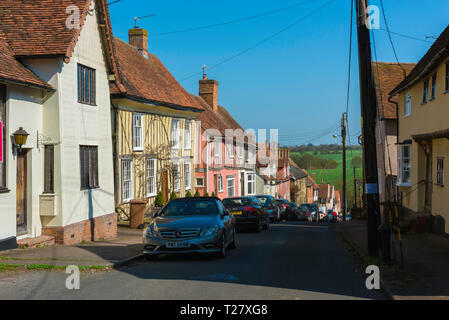 Bures Suffolk UK, view along the High Street in Bures village on the Essex Suffolk border, Babergh district, Suffolk, UK. 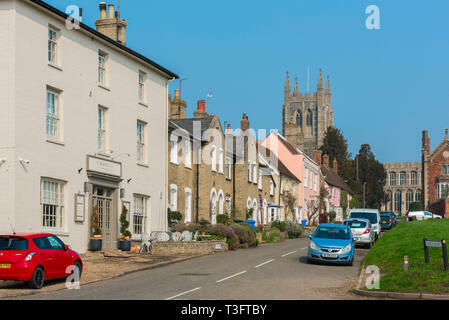 Bures UK, view of colourful houses in Bridge Street in Bures Hamlet on the Essex side of the village of Bures (Suffolk) England, UK. 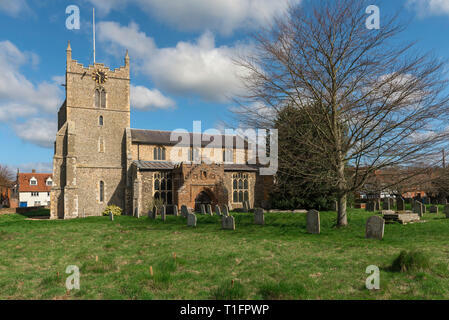 Bures Church Suffolk UK, view of the north side of St Mary's Church in the village of Bures on the Essex Suffolk border, England, UK. 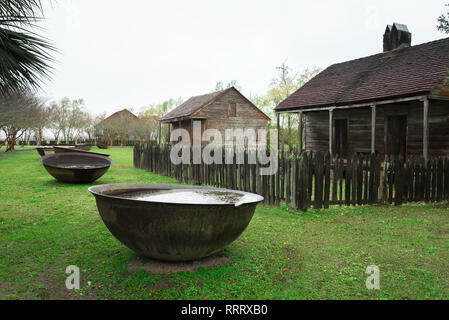 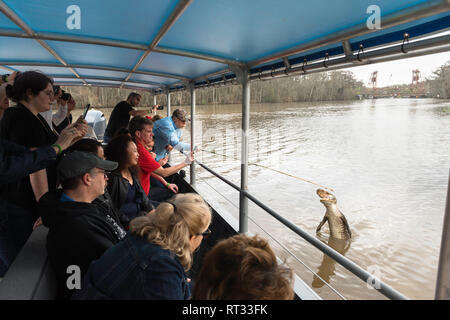 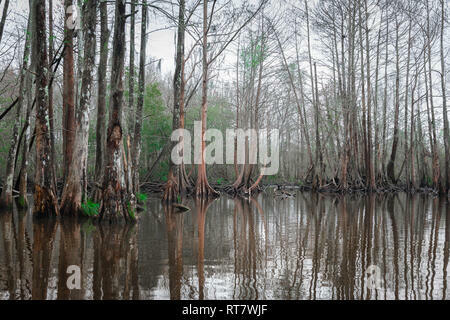 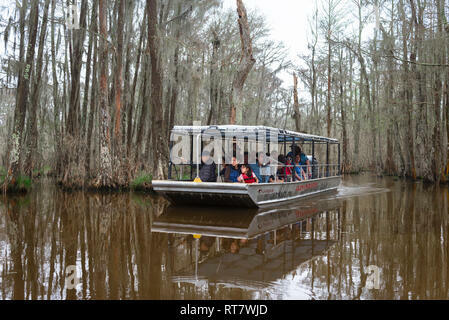 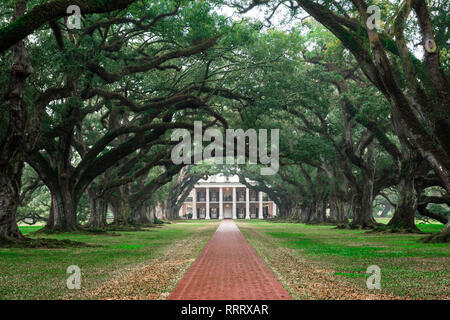 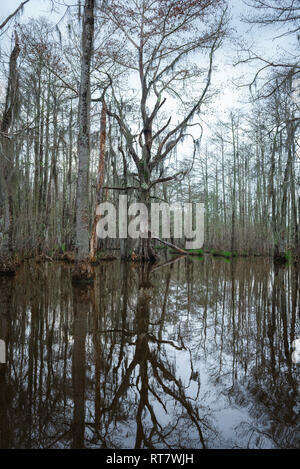 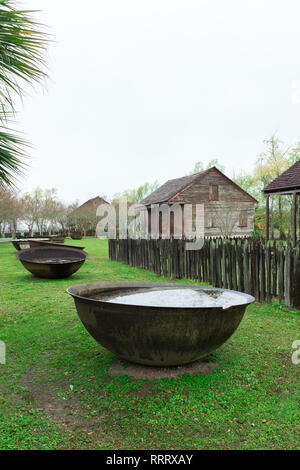 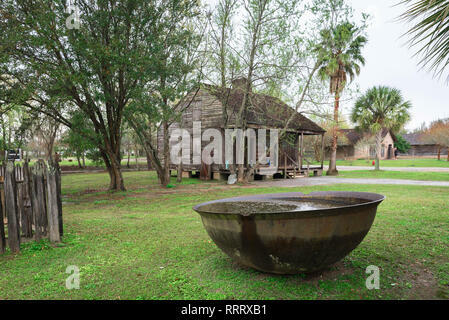 Louisiana swamp, view of a typical wetland environment along the Pearl River in the Louisiana bayou, USA. 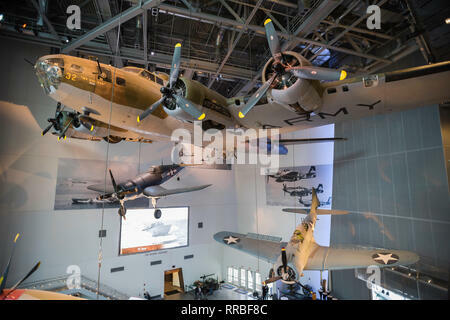 View of WWII warplanes displayed inside the National World War Two Museum in the Warehouse District of New Orleans, Louisiana, USA. 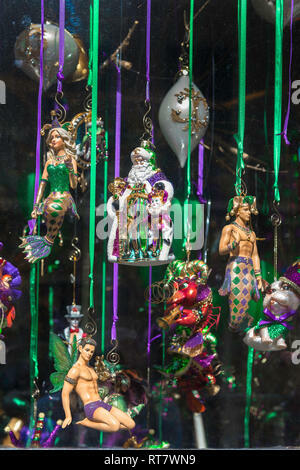 Mardi Gras New Orleans, view of a shop window display of Mardi Gras dolls and trinkets in the center of the French Quarter (VIeux Carre), New Orleans.